Anyone who doesn’t have the time to play a normal hand of poker will enjoy the convenience of Jacks or Better, otherwise known as video poker. 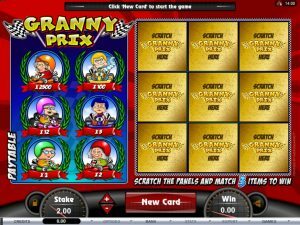 The game has been around almost as long as slot machines and is a favorite among many gamblers. Recently it has been reintroduced to gamblers as mobile video poker. Here are the most reputable mobile casinos that have the game. The William Hill mobile casino is a favorite amongst gamblers and comes in a number of different languages. 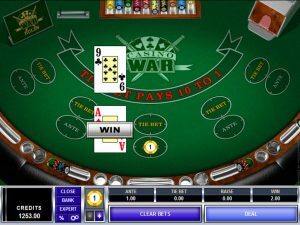 Apart from mobile video poker, they hold a number of other games for mobile players which includes blackjack, roulette, baccarat, and 7 different mobile slots. There is also a $10 free bonus with no deposit required for those who would like to test the software before investing their own money. William Hill also has a great 24/7 support system for those who need assistance. Bet365 has been around for years, and their recent mobile casino is very indicative of their industry experience. 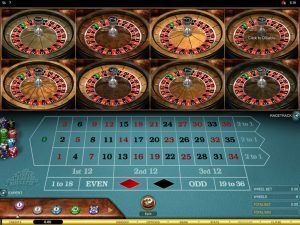 Mobile casino games include mobile jacks or better, blackjack, keno, European roulette, baccarat, pop bingo, rock paper scissors, and a number of mobile slots (some of which offer progressive jackpots). iPhone and Android users in particular can play a number of “instant play” games. The Bet365 staff are notorious at solving any problems or questions promptly. With a $5000 bonus, the All Slots mobile casino is a great option for anyone looking to gamble on the go. Their support is available 24/7 and they have a number of popular games to play alongside their mobile jacks or better; these include the royal derby, roulette, 3 card poker, scratch ‘n’ score, keno, baccarat, blackjack, scratch card, and a number of exciting mobile slots, some with progressive wins. Due to their large amount of games, All Slots Casino is often the favorite choice among people looking for a mobile casino. 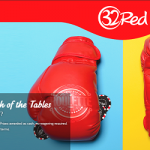 The 32 Red mobile casino is another popular option with 18 exciting games for mobile gamblers. Games include mobile video poker, roulette, and blackjack in addition to their mobile slots – 2 of which offer incredibly large jackpots. They also provide a sign up bonus of $50 as well as a monthly bonus of $32. There is also a promotion called “free chip Fridays” in which mobile players can get free chips ranging from $5 to $500 via SMS. •	Don’t draw 5 cards if you have a jack or better. •	Don’t draw 4 cards if you can draw 3 to a royal flush. •	Don’t fold a straight to draw a flush. •	Don’t double or nothing on anything higher than a pair. •	Don’t keep a kicker if you hold a high pair. •	Keep in mind that it is easier to make a straight or royal flush with a J, Q or K (Ace isn’t the most important card). There are many mobile video poker casinos available, but the ones listed above are well known to provide a pleasant gambling experience and quick payouts. After you have downloaded your mobile video poker game, make sure to take the time to understand the rules of the game, the pay table, and choose a limit that suits your bankroll. Good luck!